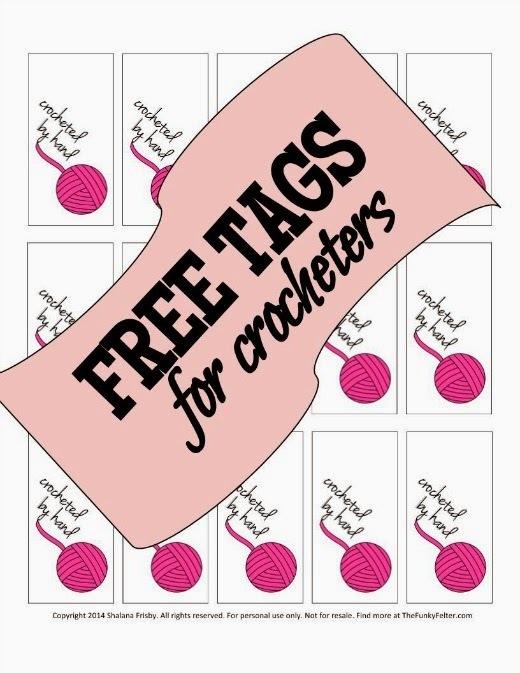 Grab these totally FREE printable tags or labels for your handmade crocheted items! Printable tags especially for the crocheter! These "Crocheted by Hand" tags with a yarn ball will look fabulous hanging on your hand crafted gifts or craft show items. Simply click on the link below to download the printable tags file for your personal use. CLICK HERE to download my free "Crocheted by Hand" tags.